In the first verse, Selena hints at a past relationship that somehow gets stuck in the back of her mind. It appears that she somehow developed a weakness for that special someone. These feelings built up, even more, every time they talk and the final result is that she falls into his arms even if she’s trying to convince herself that she doesn’t want this to happen and it’s not good for her. 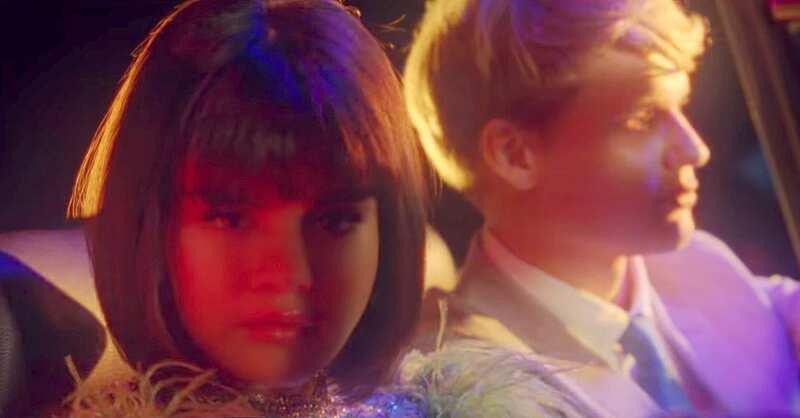 In the pre-chorus, Selena suggests that she became immune to the heartbreaks and the breakups caused by this special someone and everytime they get back together she’s able to love with the same intensity as the first time. As a matter of fact, these feelings are so deep that she thinks about this person even when she’s with someone else, perhaps even her current boyfriend. The post-chorus comes with a clear message and the singer admits that she’d get back in her ex-lover’s hands in a matter of seconds if she could. In the second verse it appears that Selena reflects on her past relationship thinking about what went wrong between her and her ex-lover. Maybe it was the fact that they never ended their conversations and they always went back and forth about who was right, or maybe it was the fact that they both overthought every aspect of their relationship. What’s clear is that their relationship still has something glowing in the dark and perhaps this is the singer’s final effort to reach out and maybe try to give it another shot. Full of fear and uncertainty, Selena confirms that she’d go back to this special person in a heart beat if she could in the post-chorus. Could this song be about Selena’s most recent ex, The Weeknd? Apparently not. Vogue magazine thinks “Back To You” is actually about the singer’s first love Justin Bieber. What do you think? Feel free to share your thoughts in the comment section below. Listen for yourself and let us know what you think in the comments below.